Soilmec slurry system stations are a prerequisite for the successful application of mud-water tunneling equipment, such as AVN equipment, hybrid shield machines or sunken shaft boring machines. The excavated dregs are separated from the bentonite suspension (a mixture of water and thixotropic clays) and removed by efficient and continuous processes. After the separation of the suspension back to the mud ring re-use. 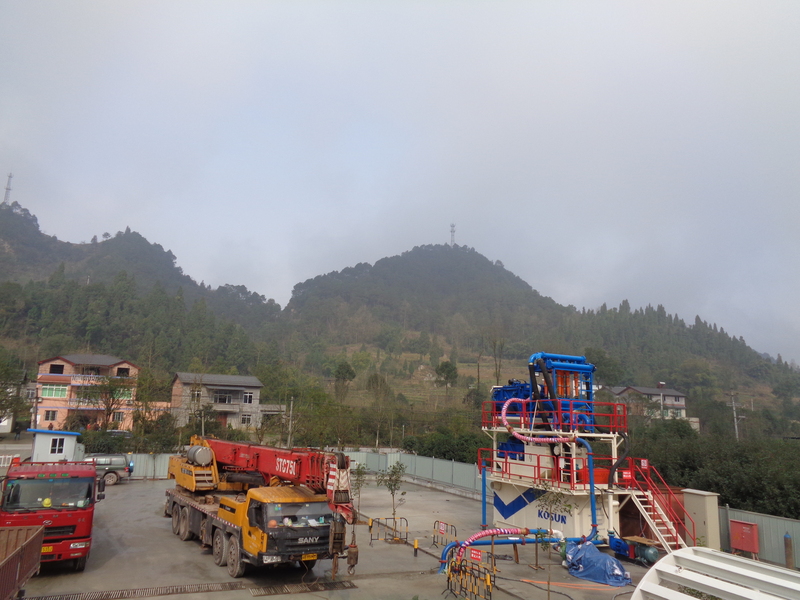 The efficient clay separation process has the following essential characteristics: the excavated dregs are thoroughly separated and dehydrated until a very low moisture content is reached; bentonite and other additives are added according to geological conditions. The less the residual moisture, the lighter the weight of the residue to be separated, the lower the cost of the slag. In addition, in the sand and cohesive soil tunneling, if the suspended particles in the residual particles, will be due to mud suspension adsorption of solid particles to reduce the ability to reduce the tunneling speed. In this case, use a filter press and a centrifugal separator to avoid muddy mud. Due to the use of durable and easy maintenance of polyurethane sieve or steel sieve, cost-effective to enhance the entire mud separation station also achieve high operating efficiency. We try to extend this pride to other aspects of our business. In the yard, we maintain the maintenance of the equipment, which will affect the overall performance of the machine. At the site, we try to recycle waste, use recycled goods or materials wherever possible, and keep the fuel content, without adversely affecting the environment. In the office, we emphasize the importance of recycling principles and the use of recycled paper products. Soilmec Mud System on an oilfield is quite a complex system, it requires so many pieces of equipment to ensure that it is done effectively, safely, in a clean manner and also that extraction is well executed. There are various components involved in Soilmec Mud System on an oilfield however below are the ones that are the most important as they reduce costs, accidents and they generally have a bette impact on the environment. A shale shaker is one of the most vital equipments on an oilfield for the purposes of mud separation, they help separate the cuttings (large solids) from the mud (drilling fluids). After the mud separation, shale shakers are also used to ensure that the drill bit is cool, the fluids from this process can be used multiple times. Getting the mud separation done before disposing the cuttings helps reduce the costs of drilling as well as the environmental impact. Oilfield mud separations is also efficient when there is a Degasser in play. They are used to remove substances such as methane, carbon dioxide, hydrogen sulphide as well as various other gases, this helps with the safety on oilfield rigs as the rates of explosion will be significantly lower. Another tool the is efficient for mud separation on oilfield rigs is the Mud Cleaner, it is a mesh that has very tiny holes that stops solids from entering into the mud, this is because mud has to be very clean before it reaches the drill. Sand Pumps and Stabbing guides are also the most important tools for Soilmec Mud System. Sand pumps deal with the moving of deposits from the drilling sites, they are usually placed in oil and fluid tanks that will be filled with sand. Stabbing guides are used to align pins to box threads so as to ensure that the connection is accurate and damage free, they also help with corrosion, protect against impact and extreme temperatures. So the Shale shaker, Degasser, Mud Cleaner , Sand Pumps and the Stabbing Guides are the most important tools for mud separation.